The rally continues today despite a decline in the US GDP. 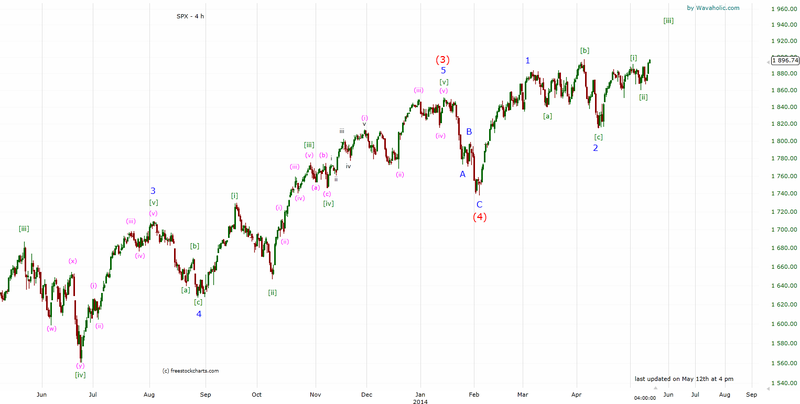 Some readers pointed out that we could be in an ending diagonal and thus upside would be limited to about 1920-30. 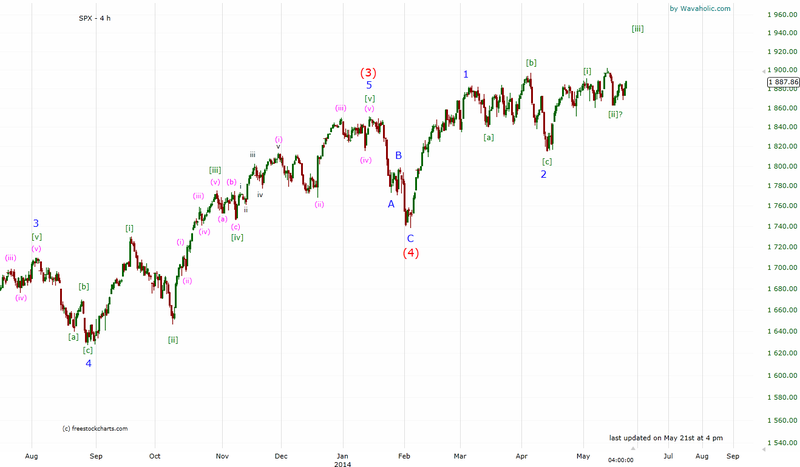 This is a valid alternative and I'll closely look how the market reacts over the next few days. 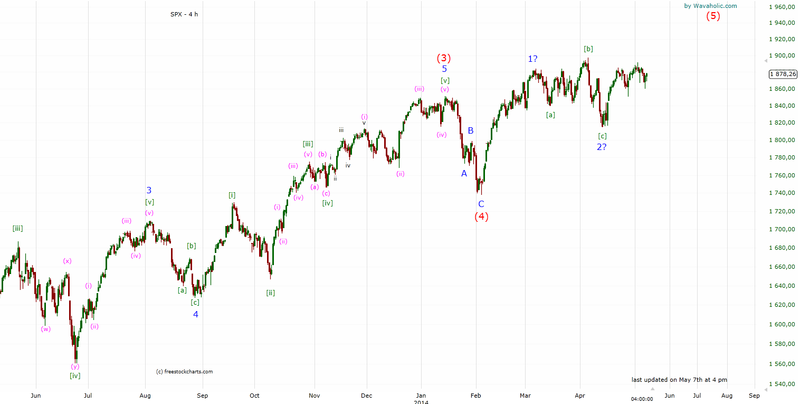 If the SPX breaks below 1900 convincingly, this alternative may very well be underway. 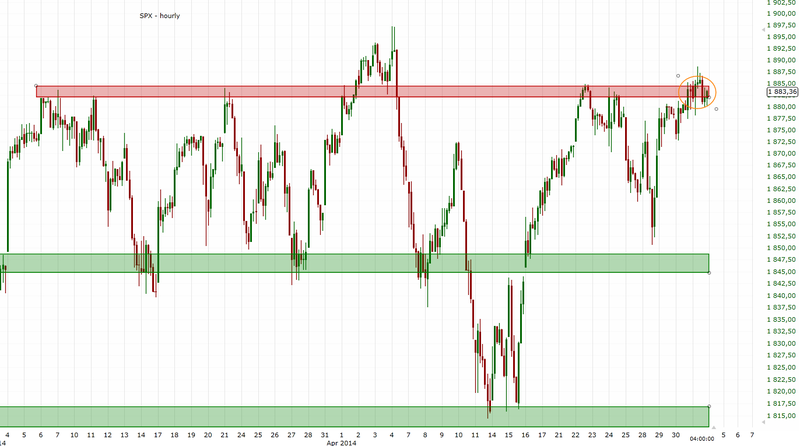 If this level holds, we may go back to 1.40. 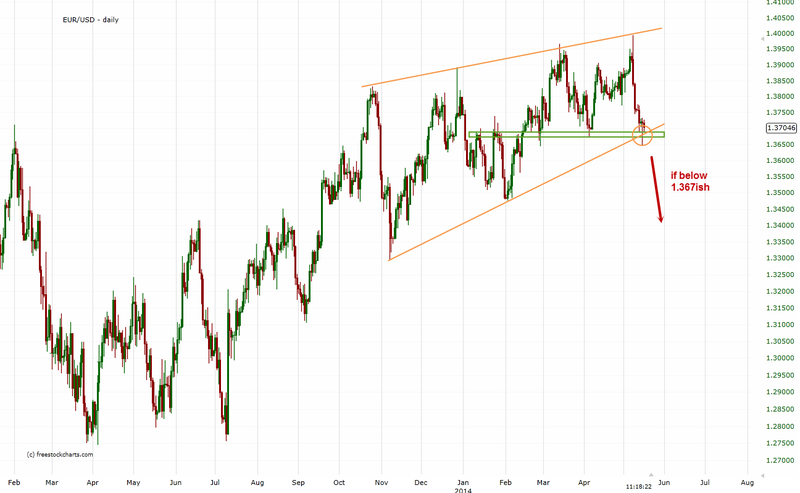 If it breaks though, a sell-off to 1.34ish is likely. 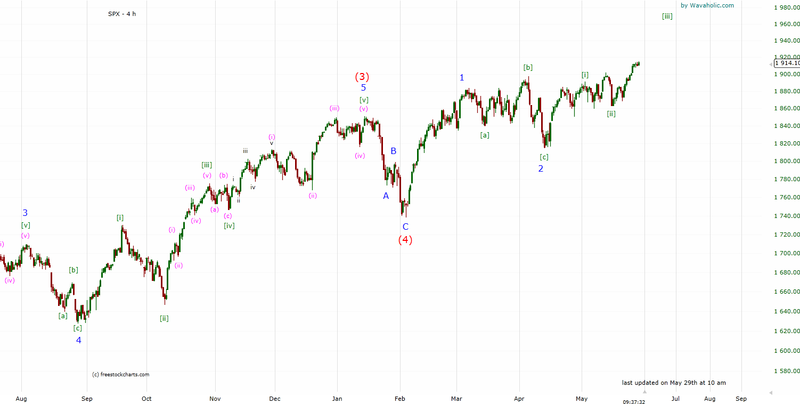 The SPX never broke 1897 convincingly and then broke below 1885ish which lead to a sell-off to 1865ish yesterday. For now, the [i]-[ii] count looks still decent. 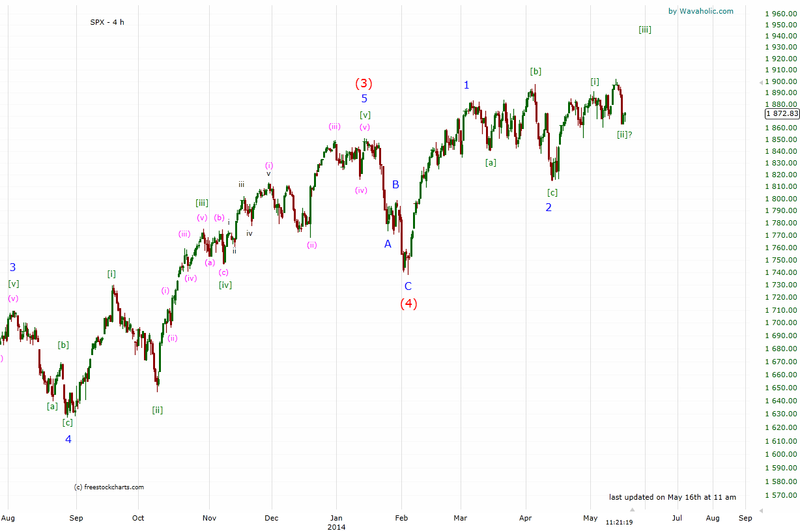 However, as before, we need a convincing break above 1897ish to confirm this count. 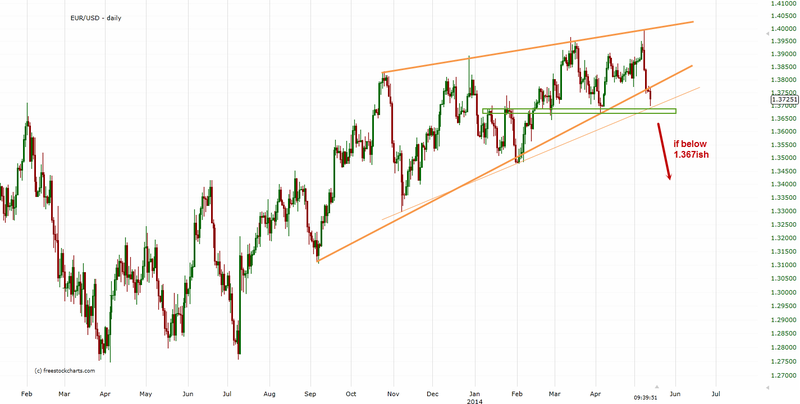 Thus, despite breaking the first trend line, it's probably best to wait for a break below 1.367ish. 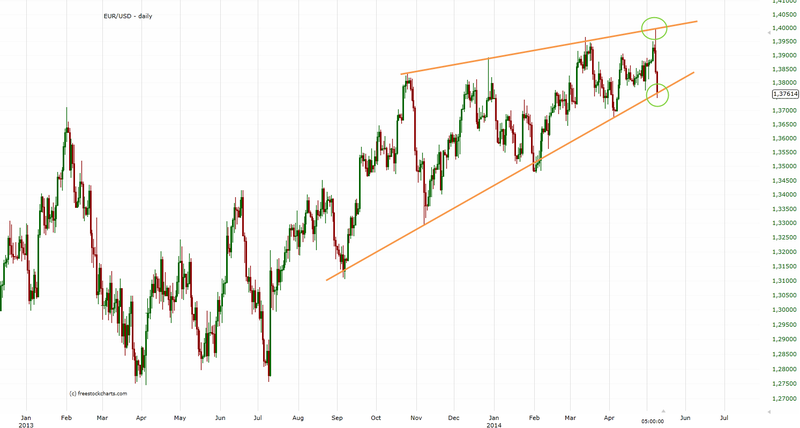 Gold has been trading between 1200 and 1400 for about a year now. As long as we stay in this range, the long-term trend is neutral. Medium-term the situation looks very similar. Support is at 1280 and resistance at 1330. Until we break either of these levels, the medium-term trend is also neutral. So far, things are looking pretty good. 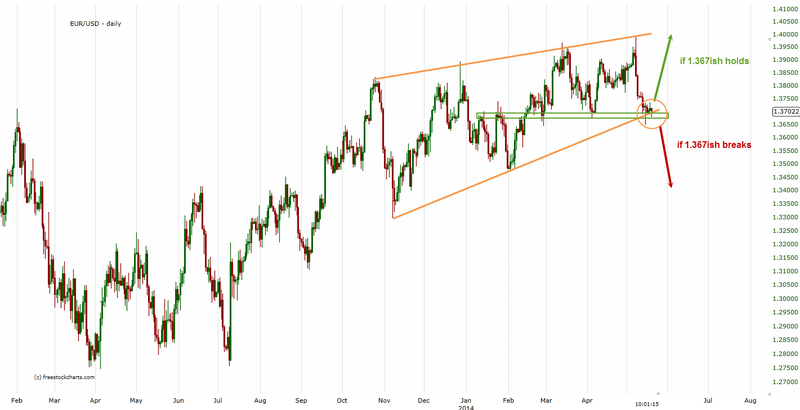 If we get a convincing break below it, 1.34 should be the first target. 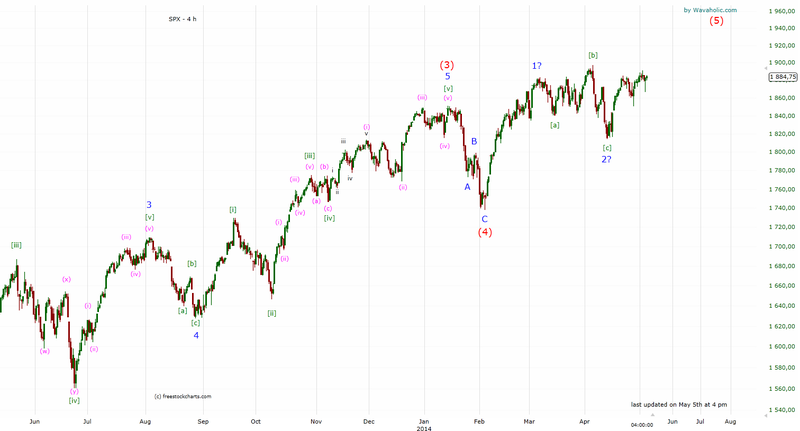 We got the expected rally to 102.7ish which was followed by another decline to 101.3ish. As long as this level holds, we should rally to 102.7ish again. So far, nothing has changed. The market is still trading sideways. I think for now, this is still the best count. 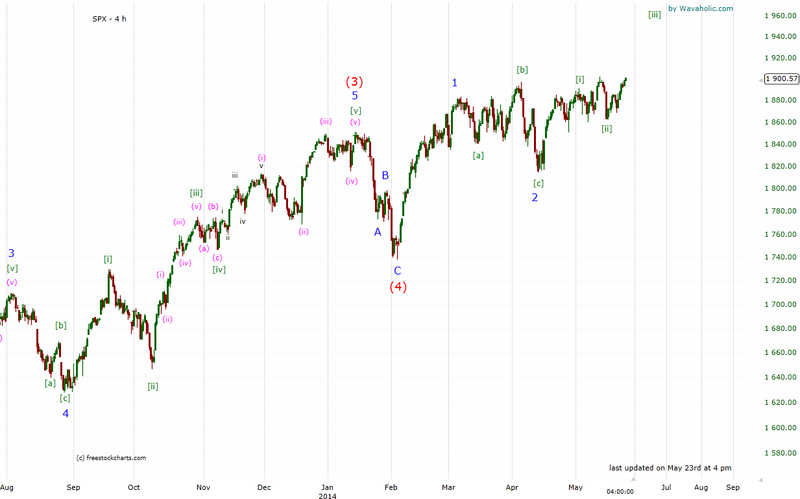 A break above the recent highs should be pretty bullish.